"King Kong" is the next big musical out of Australia, and it looks like it may be extremely popular. If the June premiere in Melbourne is a success, the next obvious step is to bring the biggest ape on Earth home to the city that made him famous; New York City. But Spider-Man stands in the way. If King Kong is going to come to Broadway, it needs a large venue. The Foxwoods is enormous. The backstage area is limitless, the seating is expansive, and the stage is more than large enough to accommodate the twenty foot tall silverback gorilla who stars the show. King Kong weighs more than a ton, and he needs a lot of room to move. Only the Foxwoods Theater provides that space. 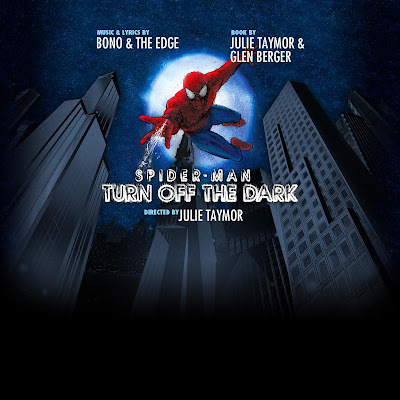 The only problem is the surprise smash hit “Spider-Man: Turn Off the Dark.” The Foxwoods Theater, is the home of the 75 million dollar Broadway smash musical “Spider-Man: Turn Off the Dark.” Despite technical problems and poor reviews, Spider-Man has turned into one of the biggest hits in Broadway history. Last year it set the all-time record for weekly gross income when the show pulled in three million dollars between Christmas and New Year's Day. An interviewer asked the producers of "Spider-Man" if they had any plans to move on, and they said that they absolutely did not. Foxwoods is perfect for them. The central question is sales. Ticket sales have dipped somewhat over the last year, though they are projected to rise again as the city recovers from Hurricane Sandy. "Spider-Man" is costly show to put on, requiring more than a million dollars a week in operating expenses. With a price tag like that, audience attendance needs to stay high. This Thanksgiving was 11% less profitable than last Thanksgiving, so the pressure mounts. It is difficult to know how much of the 75 million dollar capitalization of the show has been repaid to the investors, as this information is kept private. However, the best estimates are that the show would need to run for five to seven years to recoup its investment. Since the Foxwoods Theater is already adapted to their needs, they would almost certainly prefer to stay there until 2016 or 2017. There is every possibility that they will be able to. "Spider-Man" is secure in its position among the top five Broadway shows, and movement tends to be slow in that realm. Popular shows can run for decades. The Foxwoods Theater has traditionally been difficult to sell out, and "Spider-Man" is the first show in a while to keep the seats full and the profits coming in. There are formidable technical problems with the theater, but the producers of the current show have invested heavily in technology and the entire theater is now on the cutting edge in many ways. The same equipment that makes the theater attractive to "King Kong" provides a strong enticement for “Spider-Man” to stay. 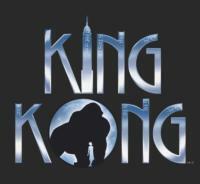 There are a few venues available that can support the show besides the Foxwoods, so if the Australian show is a hit in 2013 then "King Kong" will still be able to find his way home to New York City as early as 2014. Derek is an active Broadway Musical blogger. He enjoys blogging for Dynamic tickets where you can purchase discount spiderman tickets.